With up to four million different configurations1, the HP ZBook 15 can be customized to meet the demands of every engineer and designer. And when your technology needs to evolve, you can upgrade storage or memory in seconds without tools. 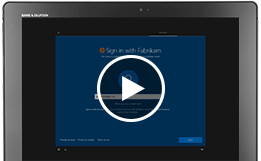 Protect your work with industry-leading security features. A touch of a button activates HP Sure View2 privacy screen to protect against visual hacking and RAID 13 maintains a backup copy of all your files in case you ever need it. Be productive in any situation. 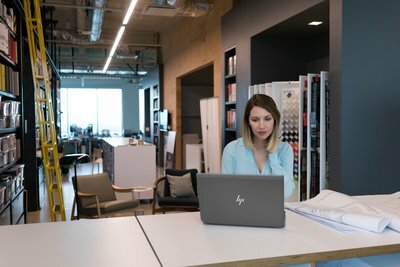 Windows 10 Pro and powerful security, collaboration, and connectivity features from HP help you power through your day on the HP ZBook 15. Speed up your workflow with up to 128 GB RAM for fast performance with rendering, editing and visual effects. Do more at once with next-gen 6-core Intel® processors designed to handle complex, multi-threaded apps like Adobe Premier Pro and fast core clock and boost with Autodesk 3ds Max. Render photorealistic images and designs quickly with certified NVIDIA® Quadro® P2000 graphics - optimized for stability and peak performance with professional software apps. Work with confidence knowing your laptop is certified with leading software applications like Adobe Premier Pro, Revit, SolidWorks and AutoCAD to ensure peak performance even with complex projects. Bring your projects to life with one billion colors on the stunning 600 nits, 4K UHD HP DreamColor display. Maintain color accuracy with a built color calibration system. Increase productivity with up to 6 TB storage and 3 drives. Get 4 TB local NVMe storage - up to 21x faster than standard HDD and 6x faster than SATA SSD. Confidently take your work anywhere knowing your HP ZBook 15 was built for 24x7x365 workloads and passed 14 rigorous military standard tests like shock, drop and dust. Experience fast transfer and upload speeds with dual Thunderbolt™ 3 ports. Keep all your devices connected with USB 3.0, HDMI, SD card, Smart Card Reader and Thunderbolt™ 3 ports. 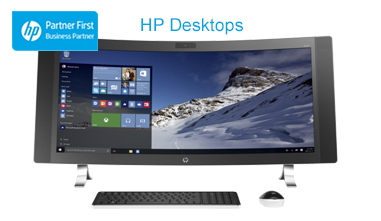 Host virtual meetings efficiently with the HP Collaboration Keyboard, WWAN LTE and an HP World-Facing Microphone. Experience premium audio with speakers tuned by Bang & Olufsen. Innovative docking solution that takes you from laptop to desktop experience. Connect dual 4K displays, charge your devices, take a conference call, and transfer data quickly. 1 Based on total components and configuration possibilities. 2 HP Sure View integrated privacy screen is an optional feature that must be configured at purchase and functions in landscape orientation. 3 Raid 1 planned to be available in December 2018. 4 Wireless cards are optional or add-on features and requires separately purchased wireless access point and internet service. Availability of public wireless access points limited. The specifications for the 802.11ac WLAN are draft specifications and are not final. If the final specifications differ from the draft specifications, it may affect the ability of the notebook to communicate with other 802.11ac WLAN devices. 5 Intel® allows architectures designed with four DIMM slots to run at 2400 MT/s. 6 NVIDIA® Quadro® mobile professional graphics support up to four independent displays when using a HP ZBook Dock with Thunderbolt 3 (sold separately) or DP 1.2 hubs with MST. 7 Weight varies by configuration and components. 9 BIOS Absolute Persistence module is shipped turned off, and will be activated when customers purchase and activate a subscription. Service may be limited. Check with Absolute for availability outside the U.S. 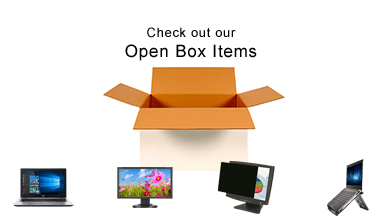 The optional subscription service of Absolute Recovery Guarantee is a limited warranty. Certain conditions apply. For full details visit: http://www.absolute.com/company/legal/agreements/computrace-agreement. 11 HP Manageability Integration Kit can be downloaded from http://www.hp.com/go/clientmanagement. 12 HP Password manager requires Windows. 13 HP BIOSphere Gen4 requires Intel® or AMD 8th generation processors. 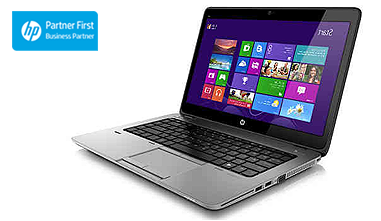 HP Sure Start Gen4 is available on HP Z Workstations products equipped with 8th generation Intel® or AMD processors. 14 Battery is internal and not replaceable by customer. Serviceable by warranty. Batteries have a default one year limited warranty except for Long Life batteries which will have same 1-year or 3-year. 15 HP Secure Disk Erase is for the methods outlined in the National Institute of Standards and Technology Special Publication 800-88. 16 HP Sure Click is available on select HP platforms and supports Microsoft® Internet Explorer, Google Chrome, and Chromium™. Supported attachments include Microsoft Office (Word, Excel, PowerPoint) and PDF files in read only mode. Check http://h20195.www2.hp.com/v2/GetDocument.aspx?docname=4AA7-0922ENW for all compatible platforms as they become available. 17 Windows Defender Opt In, Windows 10, and internet connection required for updates. 18 HP ePrint Driver requires an internet connection to HP web-enabled printer and HP ePrint account registration (for a list of eligible printers, supported documents and image types and other HP ePrint details, see www.hp.com/go/businessmobileprinting. 19 HP Remote Graphics Software requires a Windows, Linux®, or Mac®OS X 10.10 and newer operating system and network access. 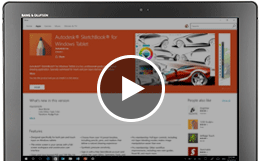 20 HP Client Security Suite Gen 4 requires Windows and Intel® or AMD 8th generation processors. Protect confidential files with security features like facial recognition and a webcam shutter. The HP Sure View privacy display helps protect against visual hacking at the touch of a button so work can be done privately in busy, open areas. Expansive configurability to meet the demands of every engineer and designer. And when your technology needs to evolve, upgrade memory in seconds. 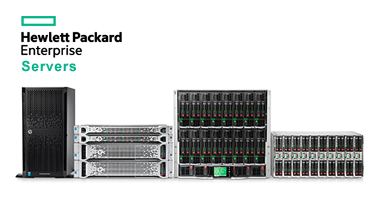 Get unthrottled performance even with the heaviest multi-application workloads. With 30% better thermal performance gen over gen it stays quiet and cool running at max performance.